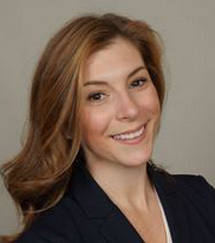 Laura L. Fitzpatrick is an associate at Simmons Hanly Conroy LLC in the pharmaceutical litigation department. Based out of the New York office, her primary practice is in the area of complex class action and multi-district litigation, specifically medical device and pharmaceutical products liability cases. She has helped recovered millions of dollars on behalf of her clients. Ms. Fitzpatrick has considerable federal court experience and has argued before the Judicial Panel on Multidistrict Litigation on behalf of clients in the Pinnacle Hip Implant Products Liability Litigation. Most notably, she was a member of the trial team for the In re: Genetically Modified Rice Litigation, Louisiana bellwether case. Ms. Fitzpatrick joined the firm in 2013 when it was known as Hanly Conroy Bierstein Sheridan Fisher & Hayes LLP. From 2008-2009, Laura served as a judicial extern to federal judge Carl J. Barbier in the Eastern District of Louisiana. Then, from 2009-2011, she worked as a law clerk for Federal Judge Tucker L. Melancon in the Western District of Louisiana and visiting judge in the Eastern District of New York and District of Connecticut. She graduated with her bachelor’s in arts degree from Louisiana State University. She earned her J.D. from Tulane Law School. She is admitted to practice in Louisiana; the U.S. District Courts for the Eastern, Western and Middle Districts of Louisiana; and the U.S. Court of Appeals for the Fifth Circuit.